There is almost nothing my family enjoys more than a warm treat fresh out of the oven., and cinnamon buns are at the top of their list! This super fun Cinnamon Bun Cake is moist, delicious and so easy to make that your 7-year-old can do it! You barely get the answer out of your mouth when they quickly “how long till it’s ready?? ?” Am I right? Today, I’ve teamed up with Pillsbury™ to bring you this simple yet fun idea for your holiday (or any day) cooking! This is a sponsored post in partnership with Pillsbury ™ and Walmart however; the thoughts and opinions expressed in this post are my own. 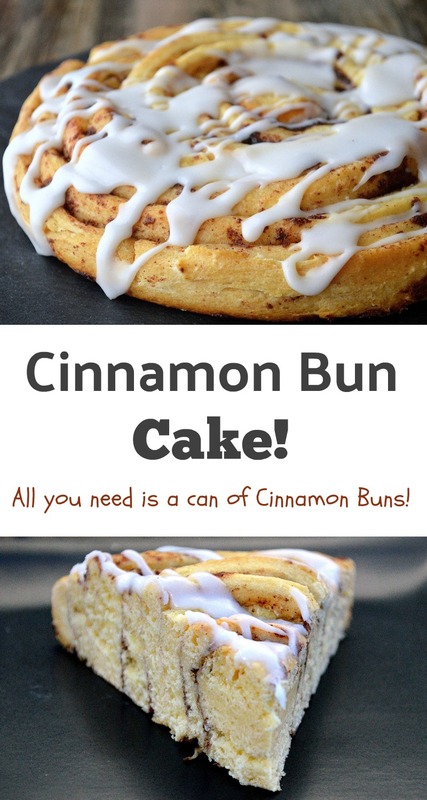 It doesn’t get much easier this Cinnamon Bun Cake recipe thanks to Pillsbury’s™ iconic blue can! No mess and no stress, all you need are a pan and an oven. 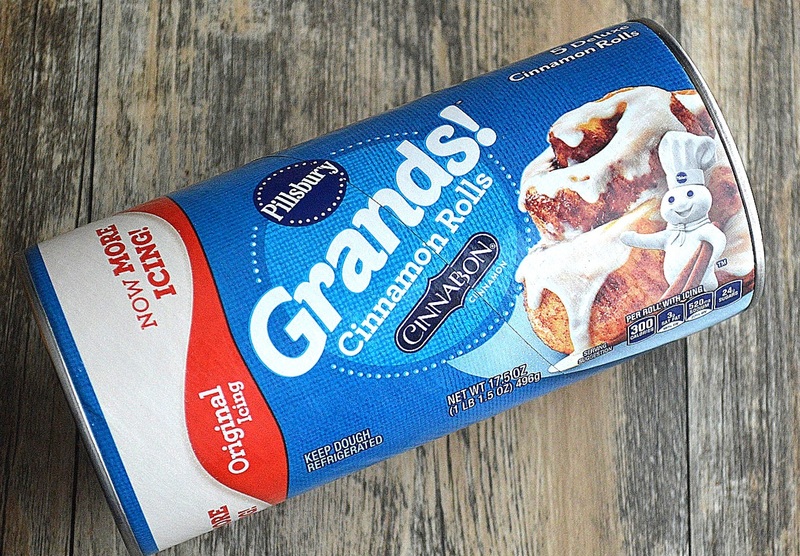 Whether you are planning out a breakfast, a brunch or company pops by unannounced, just grab a can or two of Pillsbury™ Grands! 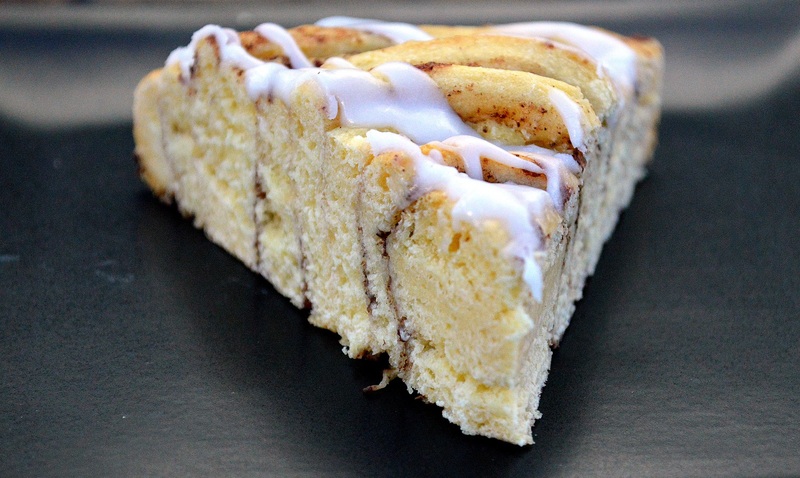 and before you know it you will be serving warm delicious slices of this Cinnamon Bun Cake. Since she was about 7, my now 13-year-old daughter’s favorite part of the holidays is the cooking. She always wants our family to host so she can be by my side as we prep, bake and cook our way to the big day. Samantha loves a good cooking frenzy, lol (love you!!). My son also plays a role in holiday cooking; he does a great job, however, the one who doesn’t leave the kitchen till all is done is my daughter. One day when my kids are adults, they will remember so many moments of their childhood…and they will almost all be tied to food in some way, lol! Baked goods are a favorite in our house, especially around the holidays. Pillsbury™ Grands! Cinnamon Buns are a treat my whole family can agree on, making a can of them into a “cake” just ups the fun factor and in my opinion, keeps the whole thing nice and moist. Pillsbury™ has always been in my life, back when I was growing up and now with my own family. Love it! Make this Cinnamon Bun Cake with one can or go crazy and use two, your call. You can even layer it. Usually, there are no leftovers. Enjoy! Spritz a ceramic or glass pie plate lightly with cooking spray. 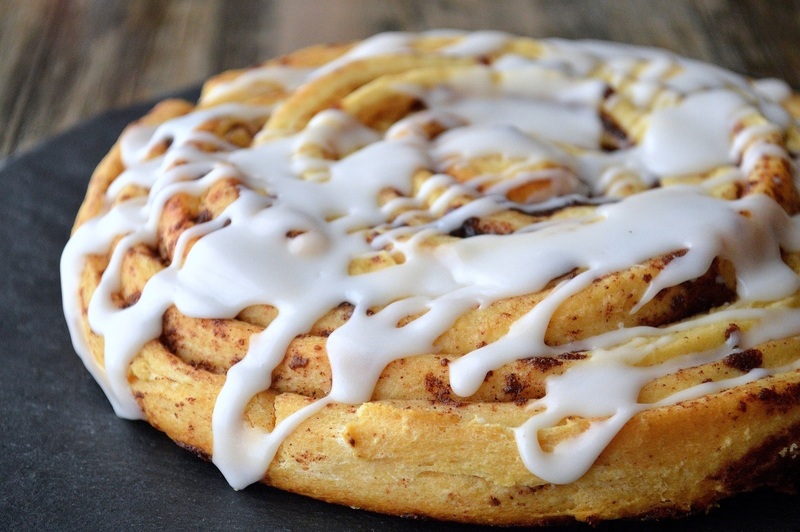 Pop open the can of cinnamon rolls, set aside the icing. Place one full cinnamon dough roll in the center of your dish, then one by one unfurl each of the remaining rolls and wrap them around and around until you have one big roll. Bake for 20-25 minutes, covering it lightly with tin foil halfway through. Remove it from the oven when a toothpick inserted towards the center comes out clean. You want the “cake” to be golden but not overcooked so keep an eye on it. Note, do not cook in a metal pan as it browns much faster. Allow “cake” to cool for 3-5 minutes. Place icing in your microwave for 20-30 seconds (NOT with metal lid…I scrape it into a small microwave-safe dish first), use a small whisk; dip it in the icing and drizzle it overtop your Cinnamon Bun Cake. Cut and enjoy while still warm. My kids (and hubby) definitely are drawn to the kitchen if they smell something baking. Your cake looks delicious! It’s so nice that your daughter has an interest in cooking and baking with you. HA! Don’t you love that! Yesterday, while sauteeing onions & peppers my 16-year-old son ran down to the kitchen to kitchen and didn’t leave until dinner was ready…I always say all a woman needs to get a guy interested in her is a pan of sauteeing garlic and onions or peppers and onion…Lol! What a fun idea and a great way to get the kids helping in the kitchen! Love this! I love when all my kids are home for the holidays! And nothing makes them happier with yummy things in the oven. I love this quick easy yummy cake! Ok, can I have this for dinner instead of dessert? This looks great! Cinnamon rolls are always a tradition for us on Christmas so this cake would be such a fun and festive idea!